This unique sensual oil provides long-lasting moisture with a truly delicious texture (and flavor! ), stimulating all your areas of pleasure. Made with pure coconut oil, it arouses the senses and invigorates the taste buds with no sticky residue. Formula contains anti-bacterial, anti-microbial, and anti-fungal properties. 2 oz. I would buy this product again because it has done wonders. I used it for face, nose inside and out, and most of my body. Will always by this product!! Use it everywhere on the body! Leaves skin hydrated, soft, and happy!! I use this after I have shaved and showered. It's wonderful on the skin...adds so much moisture. It feels very good and also makes those special moments absolutely amazing. The Best Intimate Oil Ever! Honestly, Friction Addiction Intimated Oils are THE BEST personal lubricants I have ever used. I heard it enhances an intimate experience 3-fold...Wow, so true...You just have to try it! With all the nourishing benefits plus completely edible, there's none better. Truly a unique product. Will never be without again! 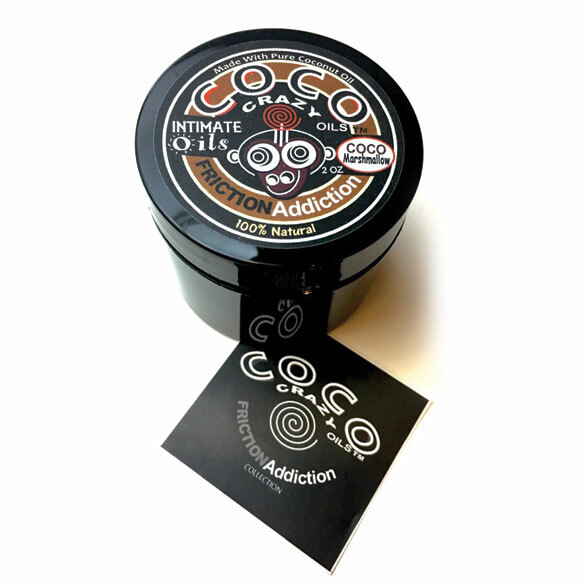 I absolutely love CoCoCrazy and the friction addiction is my favorite product! It can be used in your bath, as a massage oil, as a personal product. It's so versatile! It comes in great packaging and has such a great smell! Love it! I use this product after I shower and shave. It's super hydrating and just makes me feel so good. I also use this product for those special moments in the bedroom. 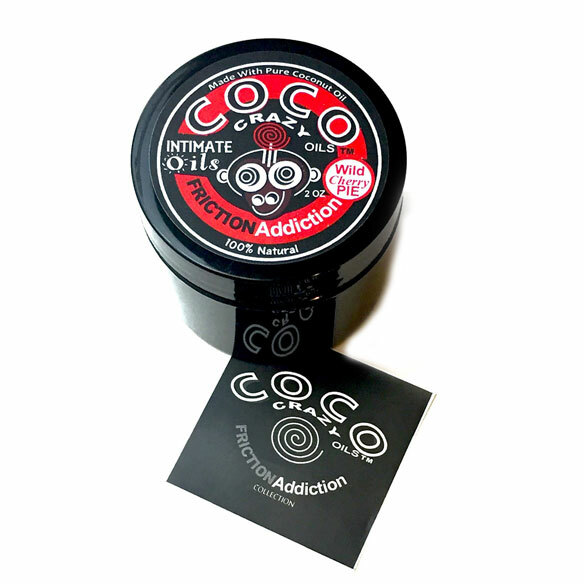 Friction Addiction is such a great product! It smells great, there are so many uses, and I love that it's chemical free! It's my favorite product! Good to bring added enticements! I liked the idea that it was flavored.